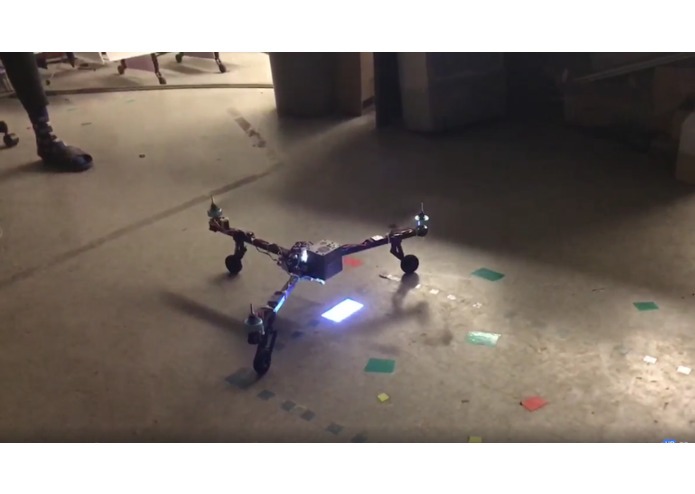 A Light Projection Tricopter to bring AR experiences directly into the real world. Real-time Directions Test (That arrow is being projected down from the drone)- taken from real test flight footage. We were inspired to create the HovAR tricopter because of a little idea- how can we make augmented reality fit seamlessly- and usefully- into our lives? Disillusioned with bulky headsets and strapping phones to our heads, we wondered if there was a way to bring AR experiences directly into the real world. 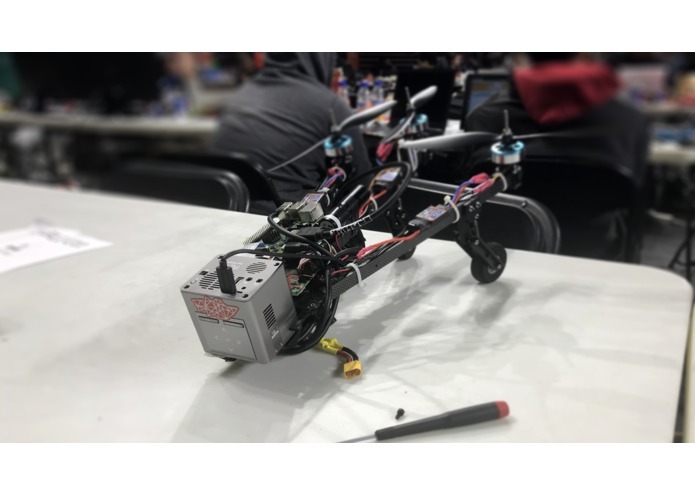 HovAR is a custom-built tricopter with an onboard 130-lumen projector and 1080p camera that can project and interact directly with surfaces in the real world to create more seamless AR experiences. We created it to serve as a proof of concept for a potential new direction for AR. We built the HovAR tricopter by machining and 3d-printing our own parts for the frame, integrating to a lightweight, high-lumen projector, and adding a KK2 flight control board and a Raspberry Pi 3 for controls. We used a 4-cell LiPo battery to help account for the larger load. We then developed a series of programs to demonstrate some possible applications of a HovAR-like UAV including a direct projection onto the ground for real-time directions, an overhead search-and-spotlight feature for finding lost items, and an interactive simulation with the projection. Some challenges we ran into were stabilizing the HovAR to get a steady image, providing power to all of our necessary components (including three motors, a raspberry pi, and a projector), and finding the space to securely house everything. 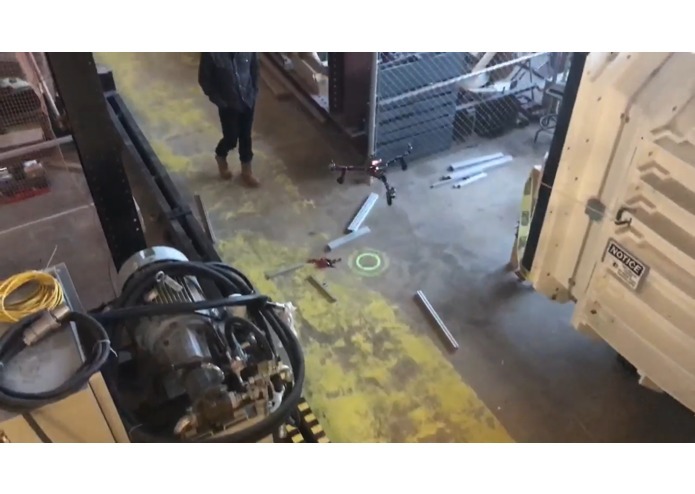 Another huge challenge was creating the AR experiences, and designing the operation of the HovAR to not only clearly demonstrate some of this system's capabilities, but also do so in a way that was safe for us on the other hackers at Bitcamp. We're super proud that we were able to build the drone from the ground up, and get the projection component to work. Some other things we're proud of is a modular frame with multiple projector configurations, and a responsive custom landing gear to mitigate prop-wash.
We learned a ton about drone construction, CAD, and computer vision. Some minor changes would be investing in a better projector with a brighter, higher resolution display, improving the power configuration to reduce weight and improve battery life, and creating more custom housing components to clean up the physical look of the drone. The biggest limitation in HovAR is that we can only squeeze out around a dozen minutes of continuous flight time, limiting it's feasibility for real world applications- for now. While HovAR is only intended as a proof of concept, we're hopeful that in the (near) future, we'll see AR drones flying around and changing the way we experience the world. 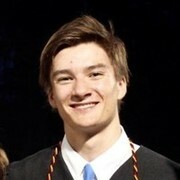 Mechanical Engineering + Computer Science at UMD. Formerly @ Bespoke, Startup Shell, & Quarky.